We agree to meet with me tomorrow in Tampa. I will advocate for the creation of a subcommittee composed of low to middle income litigants that desire to participate in the process to fix problems that directly affect them and incorporating real world experience that no member of the Commission has directly.I am hoping that he agrees or presents my request to other Commission members and they agree to my request. Closed my don't get feed. Commissions in other states may have 3 members or more so to my knowledge there is no set rule that the Commission cannot add members. What harm could it do? 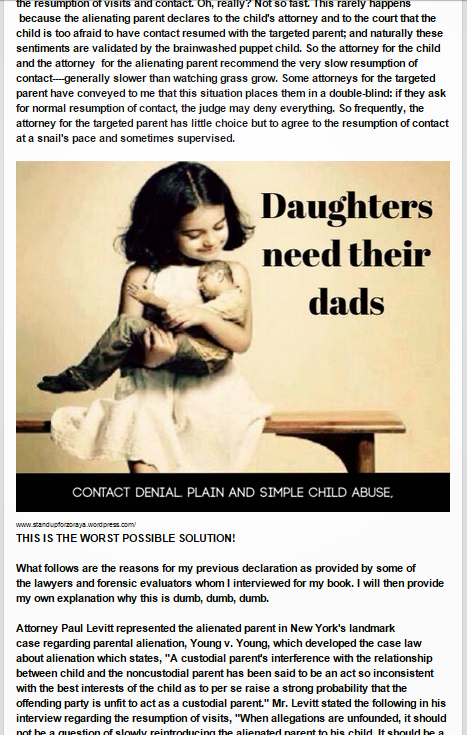 California has a Commission and has HUGE civil court problems and other states. I think adding non attorneys/judges members reflective of the people the Commission was created to help will actually bring a very important missing component. I will let you know how everything turns out tomorrow or Saturday depending on what time I return. It is a 3-3.5 hour drive. 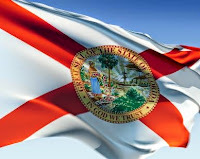 The Florida Legislature passed the Parental Rights Memorial, thus making Florida the fifth State in the Union to call on Congress to pass the Parental Rights Amendment to the United States Constitution! 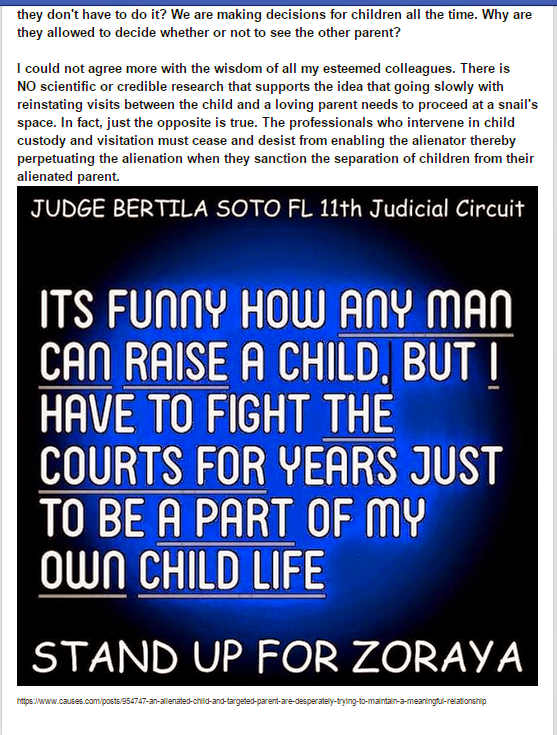 In the 2011 legislative session, the Parental Rights Memorial (HM 557 and SM 954) passed overwhelmingly in the Florida House with a voice vote, and unanimously in the Florida Senate. 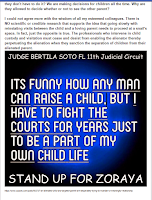 Both chambers gave the Parental Rights Memorial bipartisan support. HM 557, sponsored by Representative Marti Coley was also cosponsored by the following members of the Florida House: Representatives Adkins, Baxley, Boyd, Brandes, Burgin, Caldwell, Campbell, Corcoran, Costello, Ford, Fresen, Gaetz, Gonzalez, Harrell, Hooper, Julien, Kreegel, Logan, Mayfield, McBurney, Metz, Moraitis, Perry, Pilon, Plakon, Porter, Precourt, Smith, Snyder, Stargel, Steube, and Wood. 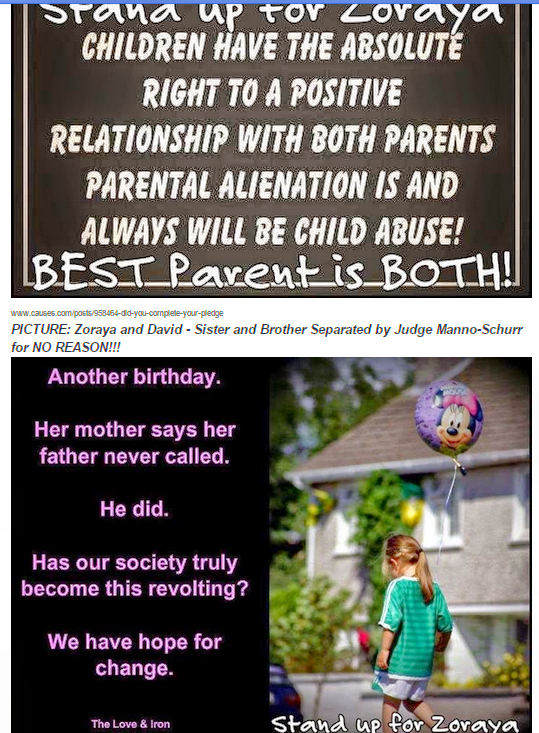 The Tsimhoni child custody case in Michigan has put a spotlight on parental alienation, but treatment remains controversial. SM 954, sponsored by Senator AniTere Flores, and cosponsored by Senators Fasano, Wise, Bennett, Norman, Dockery, Storms, Evers, and Diaz de la Portilla, was voted in favor by all senators (with the exception of Senator Rich who abstained and Senator Larcenia Bullard who was absent). 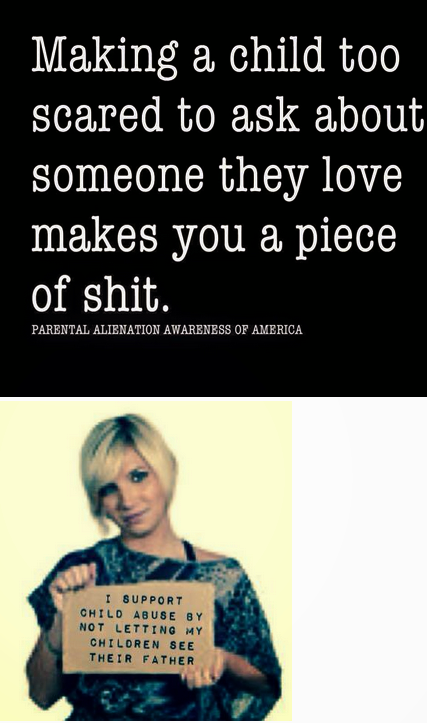 The Parental Rights Amendment, HJRes. 50, is scheduled for a hearing in the Constitution Subcommittee of the House Judiciary Committee on Tuesday, Sept. 9, at 2:00. 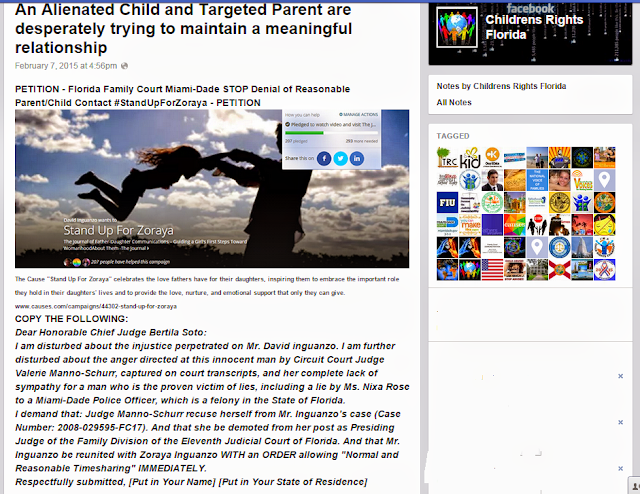 Constitutional lawyer and ParentalRights.org President Michael Farris will be an expert witness in favor of the Amendment at this hearing. A link to the video archive will be added here once it is available. To see if your Congressman is a cosponsor yet, click here. (5) by securing U.S. Senators to oppose ratification of dangerous UN Conventions. 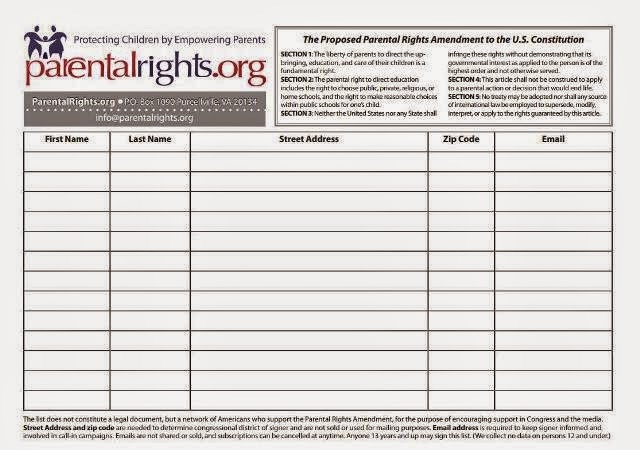 Our team works to preserve the right of every current and future American child to be raised and represented by parents who love them, and not by disconnected government bureaucrats.